We went through our ceremony twice. Check out the "bow-quet" that my MOH made for the event! 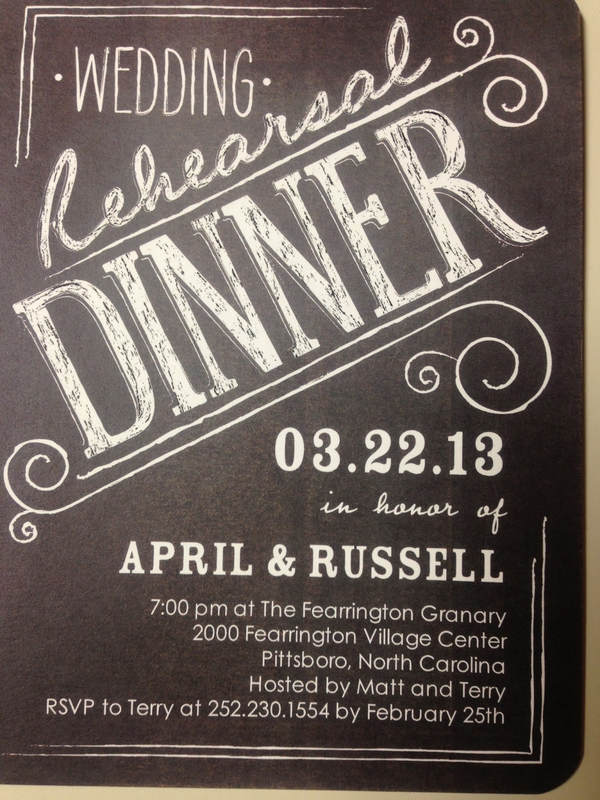 Our pastor wouldn't peep about the surprise sermon that he had written for our special day. 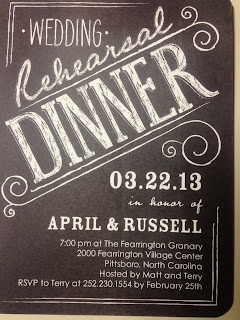 My MIL planned our rehearsal dinner at the Fearrington Granary. The floral centerpieces were beautiful...we reused them at our wedding. She had placecards with "bride and groom" cakepop favors at every chair. I loved the burlap tablecloth on the cocktail tables. We had a very generous cocktail hour and a half...they served smoked tenderloin and crabcakes and kept the wine flowing. The bartender made a very special Shirley Temple for my flower girl so she could feel like one of the big girls. The guys enjoyed the beer selection. R with his mom and sister. We enjoyed our salmon and molten cake. Afterwards we had gifts for the groomsmen, ring bearer, and our moms. R's nephew could entertain a crowd for hours. After presents R and I gave short speeches and everyone went back to the hotel. Mom and I crashed but the boys stayed up for a while. We had to be up bright and early so none of the girls wanted a late night. I can't wait to share my professional photos of the big day!